Based on Teseo 2, SL869 modules offer pure GNSS accuracy in urban canyons and multipath scenarios. 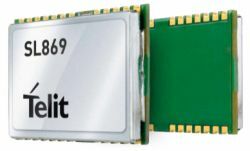 The modules offer high reliability and p2p compatibility with SL869-DR and SL869-3DR for scalable applications. GNSS MODULE TESEO 3 AUTO-DR.